Role models are important when it comes to shifting the needle on diversity in tech but we need to think carefully about the best way to have real impact. Inspiring and supporting young people is extremely rewarding and if you’re keen to get involved, here are a few tips and some pitfalls to avoid. Make your visits interactive. Find out about the young people you are meeting and their current interests and ambitions. At the very least make what you do a conversation and not a presentation whether you’re working with three students or three hundred. Be age appropriate. Consider working with the many good organisations who can provide you with a rewarding structure of engagement which delivers well for both young people and yourself. There are many different ways to support a school or college. Would you able to offer time to join the board of governors? Would the teenagers relate well to one of your apprentices or young graduates? If you feel you aren’t at a high enough level to be a role model, you are probably exactly the right person to be in there meeting young people. Help students see that tech is open to everyone regardless of gender, social background and ethnicity. More to the point – tech needs diversity. Remember on-going relationships are much more powerful than one- off visits. 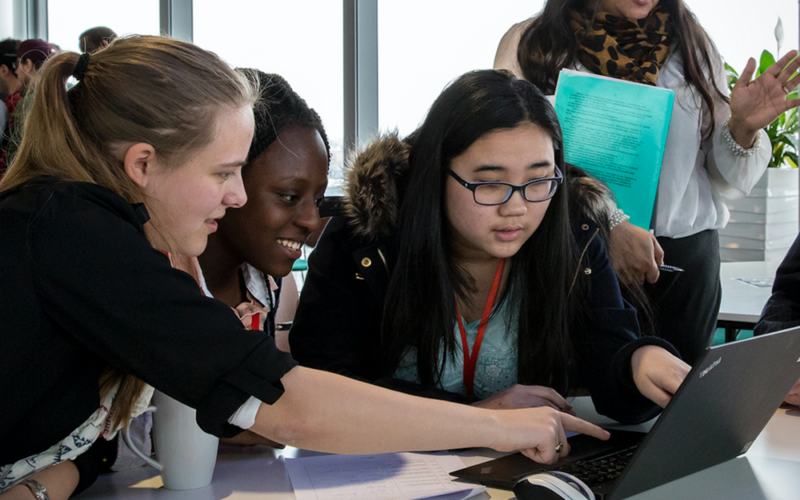 Offer to support students who are working on science and tech projects such as those for the TeenTech Awards, City of Tomorrow or Apps for Good. 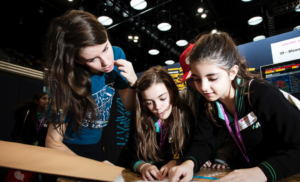 See if you can provide support for a Tech or Science Club. They’ll find out far more about you and why you enjoy your industry. And you’ll also find out far more about them and be able to point out personal qualities which they already possess and would help them thrive in science, tech or engineering. Support for students and teachers does not necessarily travelling into schools – Skype, Google HangOuts provide a great way to engage. Follow Child Safety guidelines and ensure these take place with teachers present. It’s very tempting to turn the opportunity into a recruitment exercise for your own company but you’ll have more impact if you can adopt a more generous approach. If you have great apprenticeship or graduate schemes, then make sure the students know how to apply but highlight other schemes and routes into your industry which you admire. Highlight the personal qualities which your organisation really value. Help students recognise that if they are creative, enjoy teamwork, have tenacity or are great communicators – then these are really valuable qualities – just as important as formal qualifications. Ask the school to provide feedback on what you are doing so you can improve and share the learning with colleagues.